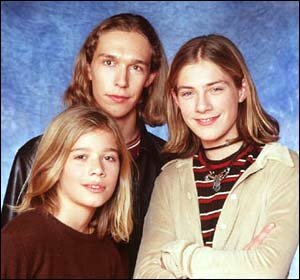 Ok, YES, these Hanson Brothers are the subject of this post, piquing my interest over the past few weeks, and have me thinking about fall marathon training. As many of you know, I have been a loyal Hal Higdon apostle since I began training for this distance almost three years ago. I have improved upon PRs, have remained injury-free and have been able to complete all plans with no more than a single missed workout in any 18 week period. But I also know that I really only have a handful of years left (I estimate possibly 5) to test just how low I can go on a marathon PR (I dream of a 3:19:59). So if I am ever going to push through a hard cycle, now is the time. On the other hand, I need to think through this carefully. Am I risking injury? Will I be fatigued on race day? Will a 6 day plan lead to more misses than my current 5 day plans? Am I talking myself out of it before I even try? On and on, the uncertainties balance out the anticipated possibilities. When I consider that only 3 years ago I was highly doubtful that I could consistently run 30 to 40+ mile weeks, I look at the Hanson weeks of 50 to 60+ and think it could be similar. I also know that speed work, tempo and easy runs, previously ignored for the sake of day-after-day pace runs, are proven to improve performance. What's not to like? Maybe the fact that the longest run throughout the plan is 16 miles, and that makes me very nervous. (Plus, I really enjoy longer runs). So, what to do? First, any advice, feedback or general thoughts out there would be greatly appreciated. I will begin training the week of July 8th for the November 9th Savannah Rock-n-Roll Marathon. I have a little time to get mentally prepared, but not much. Thanks in advance for your comments. 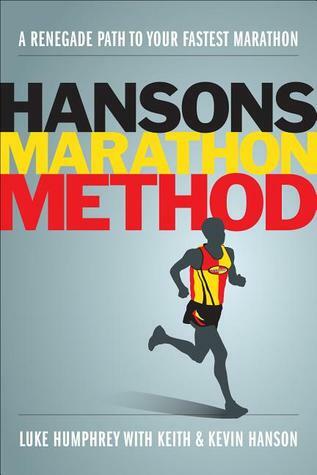 I never stuck to a plan for any of my eight marathons. My opinion is that there's no one plan suits all - though the likes of Jeff Galloway and Hal Higdon would probably argue with me on that. 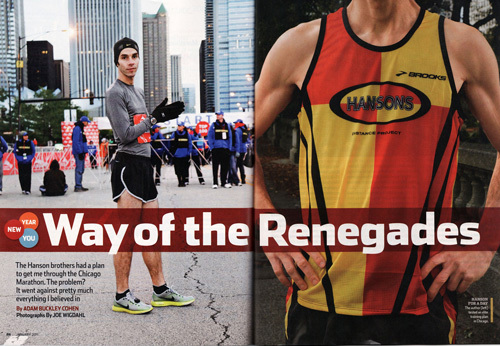 All I can tell you is what I personally did in the 13 weeks build-up to my fastest (and last) marathon. It may not suit you, or anyone else. We each have to listen to our bodies to determine what suits us best, and train accordingly. The best form of speedwork is RACING, so I ran 7 races: 4 x 10K road races to raise my overall cruising speed, 2 x 10K X-country championships to strengthen my legs, 1 x 14½ mile road race at marathon pace 3 weeks before the marathon to boost my stamina. My total mileage over the 13 week period amounted to 560, average 43 miles per week. My longest run was 19 miles, with three others at 16 miles. Apart from races, all my training was done off-road over very hilly, rough terrain. I don't do tarmac! Four days before the marathon I ran 16 x 200m @ 35secs on grass to sharpen up and put a bit of speed into my legs - then rested and carbo loaded. I was 62 at the time. As I've said, my training regime may not suit you, but it might prompt you to go back over your own training programs to discover what worked best for you, and introduce the best parts into your marathon plan. No one else really knows what suits you best. Old Runningfox, wow - that's great. Thank you for the food for thought. 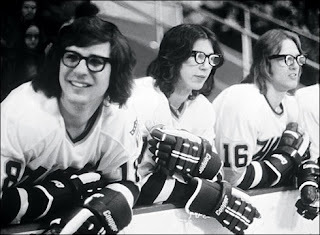 Your modified "plan" actually sounds more like the Hanson Brothers than the others you mentioned, Higdon or Galloway. The emphasis on speed work, plus your terrain training likely provided you with a strength element that they endorse. I do have to tell you that just thinking about the 16 x 200's makes me tired! I also like your half about 3 or 4 weeks out. And by the way, my goal is to come within 30 minutes of your PB, and that's even a few years before 62. Amazing. Thanks again for your advice. Have a great week.